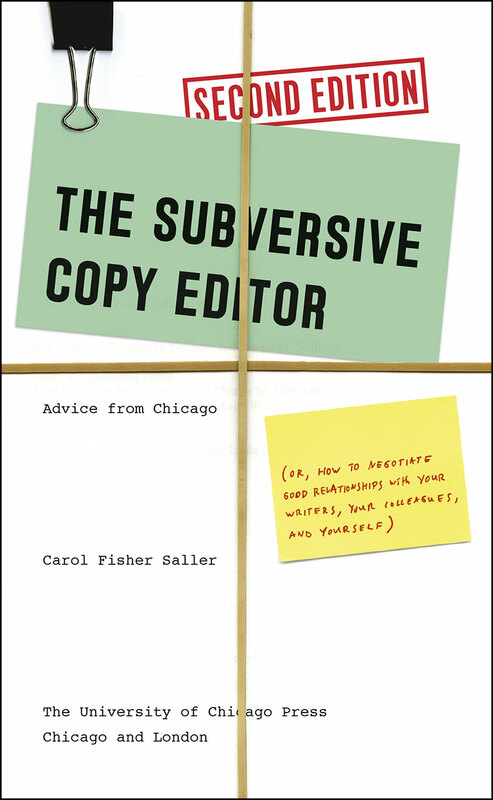 I first became aware of the work Carol Fisher Saller does when she spoke at the American Copy Editors Society conference in Portland, Oregon, and presented on her book, The Subversive Copy Editor: Advice from Chicago. I finally read her book in January of 2018. I should have done so sooner. There are so many things we can learn from this book as translators. I am combining what I learned from her book with my own experience in the real world in this post. This post covers the highlights. I hope to give you a taste for more! In the inside jacket, she is very straightforward about the purpose of this book. It is not for us to learn how to copy edit, but to give us some ideas as we negotiate good relationships with those we work with and ourselves. Many of the tips she gives apply to translators just as much as they do to copy editors. Part One: Relationships with those who hire us. Being correct about a particular turn of phrase is not worth a big argument. Instead of focusing on who is right, it is better to see what will reach the readers of the document most effectively. However, inaccuracies and inconsistencies are distracting and reflect poorly on the author. We should take care of those. We should follow three guiding principles: carefulness, transparency, and flexibility. These remind me of the interpreting guidelines of transparency and accuracy. Interpreters convey everything that is said accurately, ask for clarifications and repetitions as needed, and are transparent so both parties know everything that is happening in the room. In the same way, as translators we should approach the text with utmost carefulness. We should also be very transparent when we make editorial decisions regarding the text by putting comments in so the requester can understand our choices. To be flexible with a translation, of course, we need to know exactly what the text is going to be used for, so it is important to ask questions. Editing is a gift. Our translations should be edited, since most published material is edited. We should treat our editors with kindness, and learn from the comments our editor colleagues make. Delegate or automate repetitive tasks, so we can focus on what we do best. For example, someone else might be able to set up a table in Word, check all the numbers in a set of tables, or do other repetitive chores that don’t require translation skills. That person can also check that the references are properly numbered, that the citation reference numbers match, etc. Delegating frees us up to do what we do best. Though we may work with translation environment tools, our word processor is still our primary translation tool. It is where we do many of our final edits, write letters to clients, and do much of our work. We need to know our word processor inside and out. We should explore every feature it has, because they can help to automate certain tasks and improve our writing in many ways. Carol says having word processors and electronic tools for editing has not changed editing schedules in the last 25 years. It still takes just as long to edit a 10 page text as it did before. These tools do not make us deliver sooner. Instead, they enable us to do many things we were not able to do before, such as verifying consistency, checking for acronym use, checking double spaces, and searching for overuse of the term ‘that’. We have to plan in order to keep our deadlines. We must organize our day, set aside distractions, set pad in our schedules, set priorities. When we have to slip a deadline, just say “something outside my control came up and I will be one day late.” It is much better to take the initiative instead of receiving an email from the client asking about it. Sometimes we have to work quickly to meet a difficult deadline. However, that also means we will not be able to follow through with all of our quality assurance steps and we don’t produce very good quality when we are sleepy. I always let my clients know about these compromises and they are usually willing to extend the deadline or accept lower quality work knowingly. This happens in every profession. We shouldn’t make a habit of it. We have to keep track of our income and send reminders to people who haven’t paid. In my experience, the accounting department is often missing some piece of information and they have forgotten to tell me. Other times, they had not realized the bill was due, and the check comes the next day! In all the years I have worked as a translator, I have had very few non-payers. How to sniff those out is a subject for another post. Don’t forget to have a life away from work. Without a life, we won’t be able to give our work the best we could bring to it. We will be exhausted. Carol Fisher Saller. The Subversive Copy Editor. Chicago: University of Chicago Press, 2009. Alert! This is a book review on a book written in Spanish. Therefore, the quotes will be in Spanish! I’ve been having weekly discussions with people who want to become better translators. Some would call this “translation training.” As they ask questions, they drive me to read books. 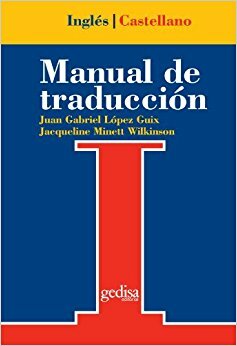 One of the gems I have encountered in my research is the Manual de traducción inglés-castellano by Juan Gabriel López Guix and Jacqueline Minett Wilkinson, published in 2014 by Editorial Edisa, in Barcelona, Spain. This statement is key. Translators are writers. The statement that follows is equally important: “Una obra está sujeta a múltiples interpretaciones en la medida en que varían los lectores o el contexto en que se lee.” (A work is subject to multiple interpretations based on who reads it and the context in which it is read.) Therefore, a translator must read carefully. The way we read will make a huge difference in our translation. We must hone our deep reading skills so we can become very accurate readers, since we are the last reader of the source text before the readers of the translation receive our translated text. What a tremendous responsibility! Reading and writing. Understanding and expressing. This leads to the next issue in our role: Decision making. In chapter 9 we are given a series of techniques for translation, with their challenges and appropriate uses. I read the whole book and wrote a 13-page summary for my own use, which I refer to constantly. There is simply no waste in this book! 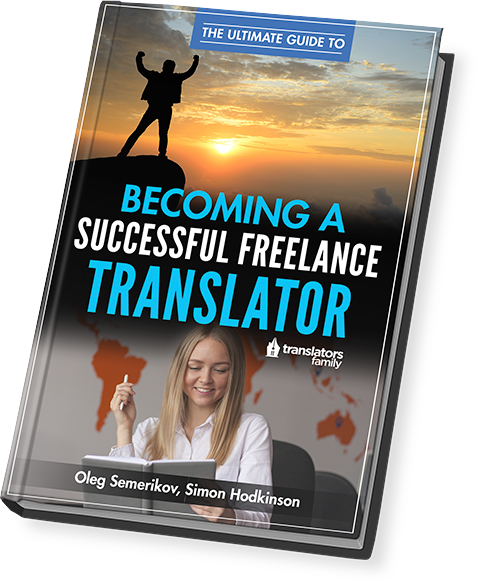 This is a must-read for those who want to hone their skills in English-Spanish translation. 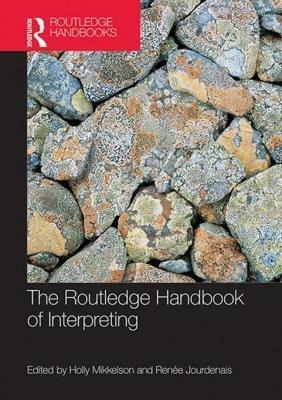 One of my resources is The Routledge Handbook of Interpreting, edited by Holly Mikkelson and Renée Jourdenais. Its twenty-seven chapters cover a remarkably broad spectrum of topics relating to interpreting, with the following sections: historical perspectives, modes of interpreting, interpreting settings, and issues and debates. Each chapter is written by an expert in the field, sometimes two, each of whom has devoted careful research to the work. For this review, I chose the chapters which I had seen discussed objectively the least in other settings. The book is meant to be read one chapter here or there, as a reference book. The chapters I referenced for this review focus on non-professional interpreters and quality. 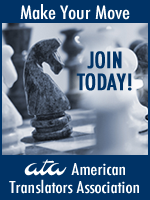 In the professional listservs I participate in, members discuss issues that affect our profession. The issues of non-professional interpreters and quality are discussed there, but the participants often only give one side of the story. The discussion in these chapters, however, provided a fresh, unbiased look at these issues. A young mother came to a medical appointment with her seven-year-old son ready to fill in as interpreter because his baby brother had a broken elbow. He had interpreted before. He was visibly relieved to be able to be a little boy and make paper airplanes with blank pages from my notepad. The adult daughter of another patient almost didn’t allow me to interpret for her father at a dialysis appointment. I had to reassure her that I was properly certified and would allow her to correct me as needed. She enjoyed her role as a daughter for the first time in many appointments. When people depend on untrained interpreters for high-stakes appointments, there can be significant negative consequences. Logistically, professional interpreters simply cannot be everywhere at all times. Because of that, many of us started as non-professional interpreters before we became professionals, providing important services to our communities. For example, from 1986 to 1988 I interpreted for customs and immigrations officers, as well as in church settings, in almost all countries in Latin America. That was before I was ever trained. In the section on non-professional interpreters, Aída Martínez-Gómez acknowledges this fact. Non-professional interpreters are, she says, “individuals with a certain degree of bilingual competence who perform interpreting tasks on an ad hoc basis without economic compensation or prior specific training” (Martínez-Gómez 2007, em. original). Interpreting started as a non-professional endeavor, and she brings this to light. An honest, unbiased discussion of this issue is refreshing. This chapter does not advocate for non-professionals to be assigned responsibilities in areas of high risk, but simply acknowledges that we simply wouldn’t be able to get along without them. As a matter of fact, most of my interpreting students got their start by interpreting for friends and neighbors before they decided they wanted to take a class to learn how to do it “the right way.” Those interpreters are often very well prepared to learn how to be professionals, and are highly dedicated to excellence! In their discussion of quality, Ángela Collados Aís and Olalla García Becerra argue that there are so many ways to evaluate quality that it is very difficult to come to a consensus. Most measures of quality are dependent on what interpreting ethics are applied to the situation. The court setting is adversarial and highly scripted, as well as being recorded, so all court interpreting codes of ethics emphasize accuracy and impartiality, because what the interpreter says in English is the record. The medical setting is cooperative, so the National Council on Interpreting in Health Care (NCIHC) Code of Ethics includes advocacy, while accuracy is still extremely important. Some barriers to quality are related to poor advance planning, such as not knowing what the appointment is about, not knowing how long it will last, or being in an environment in which the interpreter can’t see or hear clearly. Quality can’t be achieved unless interpreters know what is expected of them before the appointment. Unfortunately, this is often neglected. I reviewed these two chapters because they stood out to me with their fresh look at critical issues. If you read the book yourselves, you will find much more information. Additionally, at the end of each chapter there is a list of suggested reading and a substantial bibliography. I carry the book on my Kindle and don’t expect to read it cover to cover. Then again, who knows? It is an excellent reference any time I have a question about an interpreting topic. Thank you, Holly and Renée, for your excellent work putting this together! We, the interpreters, trainers, and policy makers of the interpreting world can’t thank you enough! Everyone should have this book on their shelf, in their Kindle, or somewhere. Aída Martínez-Gómez. 2007. “Non-professional Interpreters.” In Mikkelson and Jourdenais, The Routledge Handbook of Interpreting, chap. 26. Collados Aís, Ángela and Olalla García Becerra. 2007. “Quality.” In Mikkelson and Jourdenais, The Routledge Handbook of Interpreting, chap. 23. Mikkelson, Holly and Renée Jourdenais (eds). 2007. The Routledge Handbook of Interpreting. New York, NY: Routledge. Kindle edition. 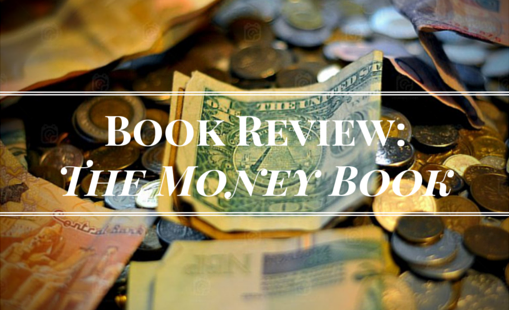 The Money Book by Joseph D’Agnese and Denise Kiernan had been on my reading list since I received it as a gift last year, and I’m excited to share with you what I learned—and what I will do differently—as a result of reading it. The book is not geared specifically towards freelance linguists or translators (I am both), and I liked this fact. I thought it would be a good chance to branch out and see what other freelancers are saying. I also wanted to see what solutions others have found to the challenges that come along with this type of work. The authors of The Money Book are both independent workers who have found freelancing to be, indeed, freeing, and it was clear that they are excited to share this freedom with others. I could sum up the book’s main mantra with this admonition: as a freelancer, treat yourself as a good employer would treat you. After all, as a freelancer you are your own best employee. Overall, the book helped to expand the topics I am thinking about as a freelancer and made me look farther into the future when it comes to my career. For instance, the authors discussed the benefits of starting an IRA early in life—a fact that I knew in the back of my head, but I needed a kick in the pants to start implementing it. Throughout the book, the authors discuss some of the pros and cons to freelancing. Some of the pros to having an employer (at least in the U.S.) include 401(k) management and contributions, health/life/disability insurance, tax withholding, and payment of office/travel expenses. However, some of the benefits include: flexibility to set your own schedule, unlimited income potential, being your own boss, ability to work from anywhere in the world, and seeing a direct increase in your pay when you work harder or more. These advantages and disadvantages really come into play when managing your finances as a freelancer. The book works off of the basic premise that readers should first figure out how much they make, then determine how much they spend, and then find a way to reconcile the two. One of the most interesting pieces of advice in the book was the authors’ recommendation of using percentages to determine how to allocate your freelance income. I especially like the idea of using percentages because it means that your own personal income and business expenditures will be directly proportional to your business income—which is also conveniently how taxes work. For instance, say you were to put 20% of every check you receive aside for business expenses (conferences, office supplies, internet, smartphone) and 30% for taxes (including accountant fees). This would leave 50% of your total business revenue for your personal income (from which you would pay for health insurance, retirement savings, and the like). It would also potentially leave you a chunk of cash come April 15—depending on how much you can deduct from your taxable income—that you could pay to yourself as a bonus. The authors also have extensive recommendations about saving for emergencies and paying off credit card debt, for those who choose to combine their personal and business finances. What I like most about the percentage system is that it has the ability to break a vicious financial cycle. Old habits—especially money-related ones—die hard, and once you get used to paying yourself a certain sum of cash from your business revenue, it can be hard to live without that same amount each month. With the percentage system that this book lays out, you know that your personal cash flow will be directly related to your business income and you can plan accordingly based on the influx of income you expect each month, adjusting percentages as time goes on and as you learn more about your business’s ebb and flow. In summary, I would recommend The Money Book for individuals who aren’t at all certain how this freelance thing works, or who are looking for a basic system to help them get out of debt while working part-time or on a freelance basis. You’ll find great encouragement that will help you save and plan for your goals while freelancing. Be sure to let us know what you think!